As the temperatures soar so do the splashes! 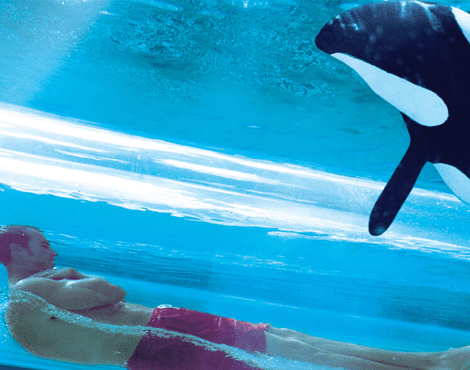 Float along calming streams, swim amongst beautiful marine animals or drop down gigantic water slides…whatever you choose, you’re sure to stay cool. 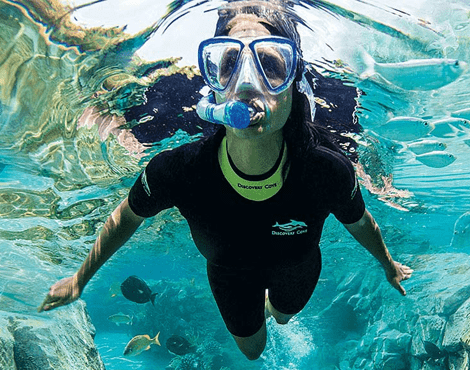 Start your day swimming through The Grand Reef which is home to thousands of fish and rays. Either go for a paddle along the shore or dive deep and explore this colourful reef. 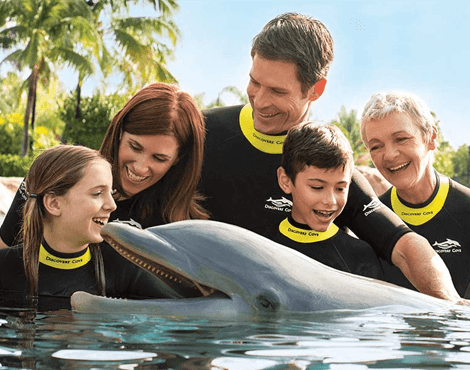 Wade into Dolphin Lagoon and come face-to-face with a beautiful bottlenose dolphin. 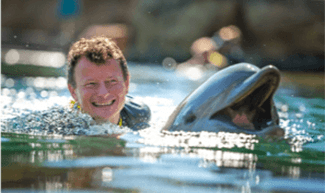 Once you’ve befriended the dolphin you can wade a little further out and catch a dorsal fin ride back to shore. 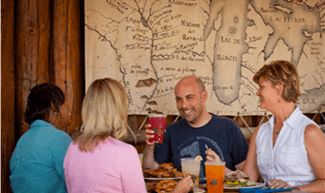 Take a moment to dry off and enjoy a delicious meal at Laguna Grill. The kitchen is open from 11:15am for lunch and there is something to suit every taste! How about taking a refreshing shower under a waterfall? That’s sure to wake you up! 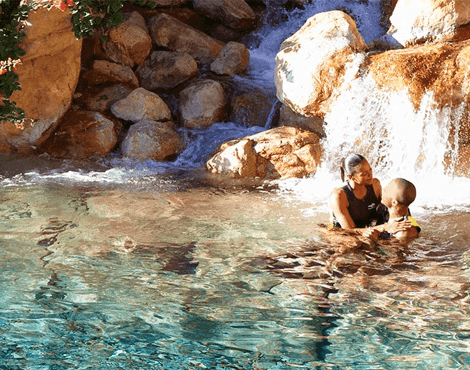 Serenity Bay offers the perfect combination of exhilaration and relaxation. For those who want to stay on dry land, the Bay has plenty of loungers to stretch out on. 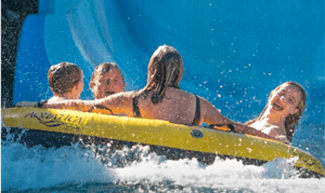 Take your watery adventure to the next level with SeaVenture. 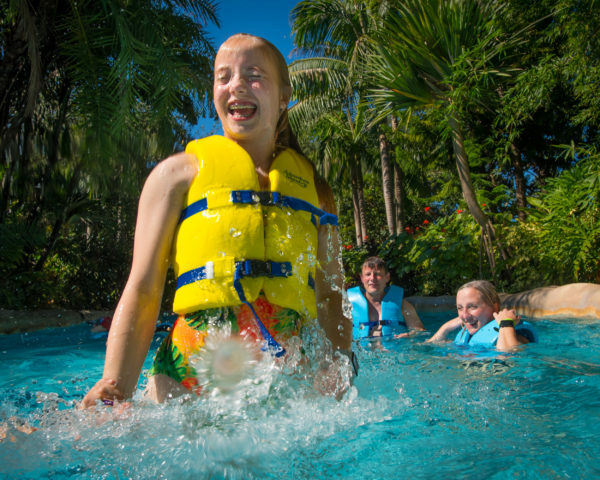 You’ll be fully submerged when you climb down to walk the floor of The Grand Reef. 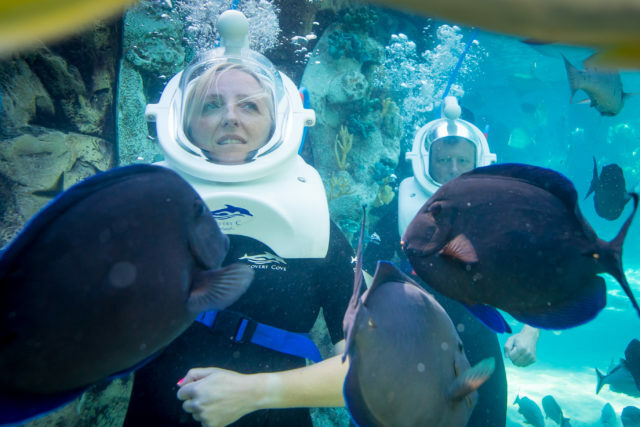 Stroll alongside fish and rays, and come face-to-face with a shark or two (don’t worry, they’re behind a panoramic window)! 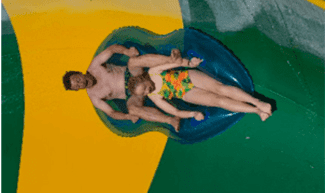 Tassie’s Twisters lightning fast tubes shoot you into a giant bowl, where you’ll spin, and spin, and spin, until you’re finally spun back out into the lazy river. 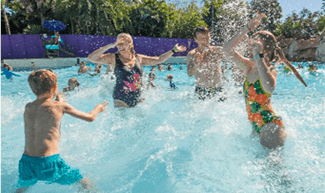 Make a big splash down Whanua Way. 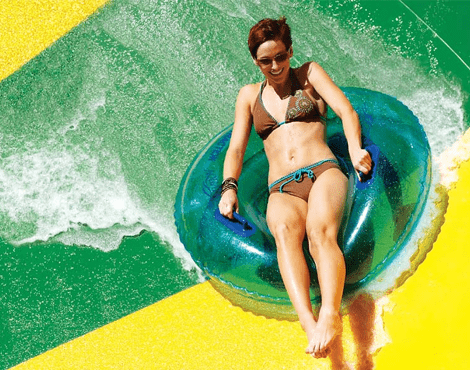 Expect curves, drops, dipping in and out of dark tunnels and soaring off the end of the slide for an epic splashdown. Grab a bite to eat at one of the three restuarants at Aquatica. 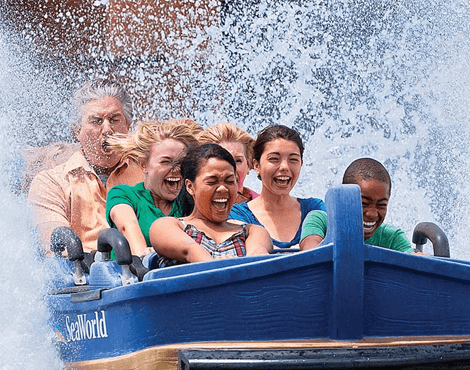 Once refulled, it’s time to head out again and enjoy even more wild water rides. 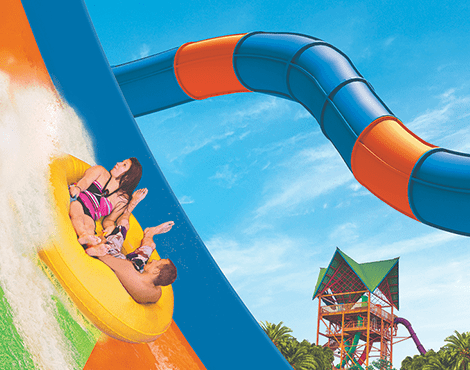 Cool down in the Florida sun by splashing down a six-storey maze of twists and turns. 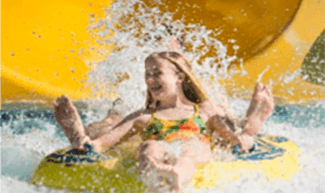 Walhalla Wave is sure to get the whole family laughing and soaking wet! 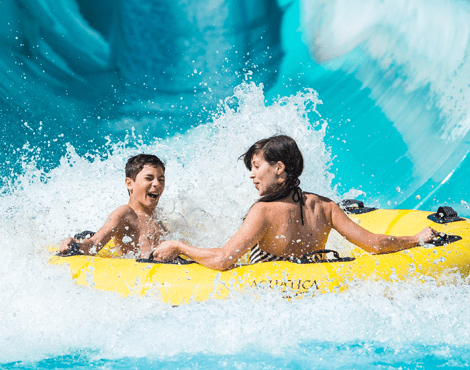 Would a day at a waterpark be complete without being swept off your feet in a wave pool? Take your pick between rolling waves at Cutback Cove or unpredictable crashing waves at Big Surf Shores. 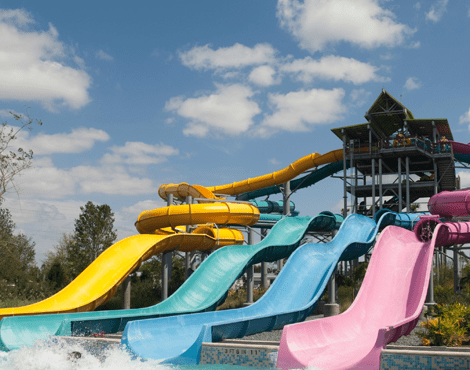 Can you imagine how wet you’ll get plunging down the world’s tallest river rapid drop?! 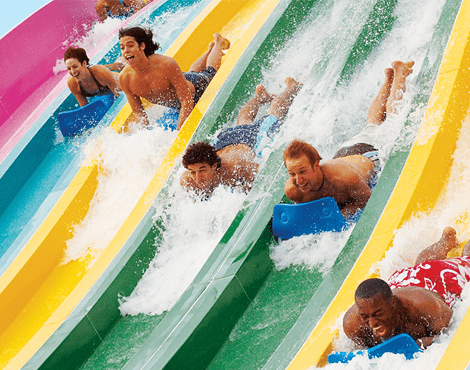 We guarantee all eight riders will be soaked through after this wild ride! 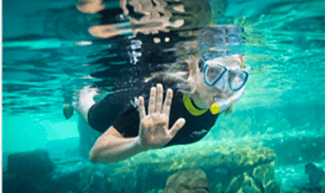 Have you ever high fived a stingray? 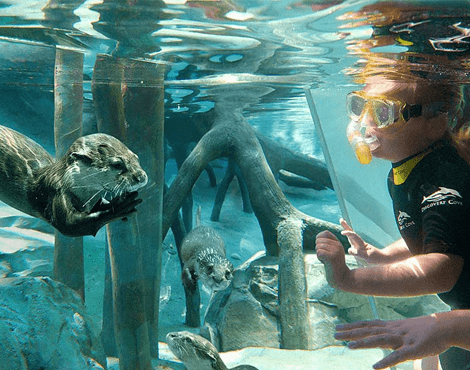 If you put your hand just below the surface of Stingray Lagoon you’ll get to enjoy this amazing experience. 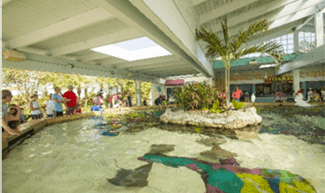 Expect to be splashed if you feed the rays, they do get pretty excited when they see a fishy treat in the water! 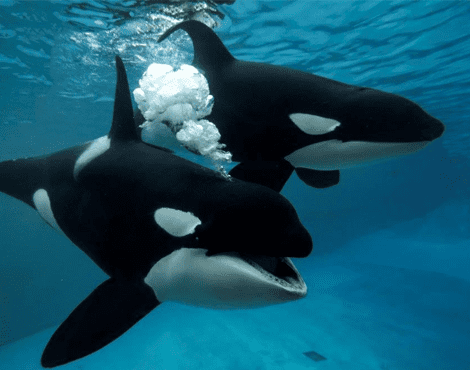 Take some time to dry off and recharge your batteries at one of SeaWorld’s many restaurants. 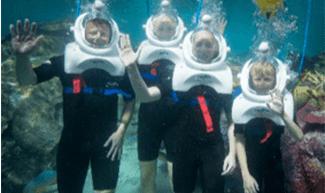 Take the weight off your feet and be dazzled by Dolphin Days. 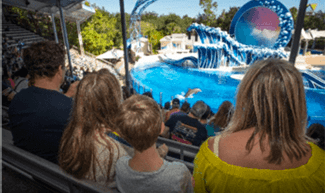 You’ll be blown away by the spectacular dolphins, tropical birds and acrobats that star in this show. Warning! 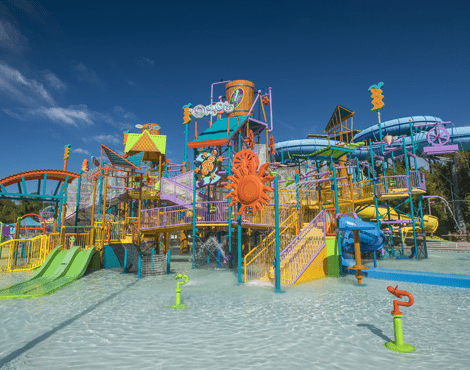 You’ll also be completely soaked if you sit in the Splash Zone!! 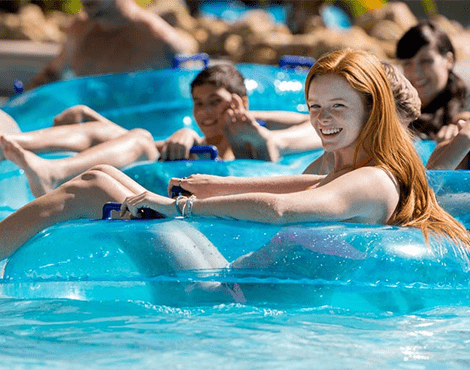 With the temperatures soaring, it’s time to cool off theme-park style! Make the Journey to Atlantis where you’ll plunge into the middle of a clash for the lost city. 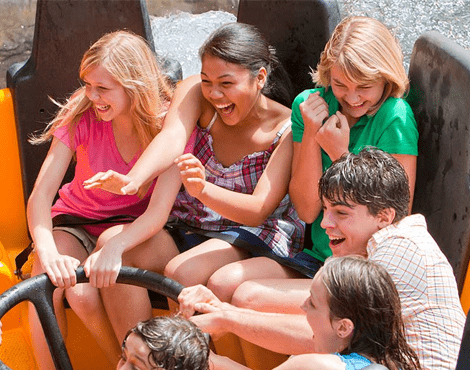 If you’re looking for the wettest drop imaginable, make sure you secure the front seats where you’ll get drenched! 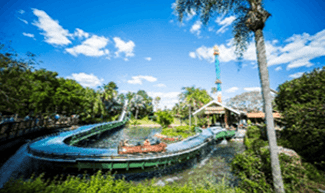 Climb aboard the Busch Gardens Shuttle Express which will pick you up and drop you off at the unmissable Busch Gardens Tampa Bay. 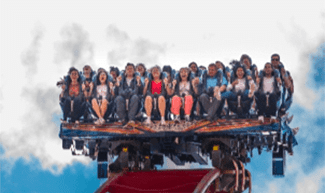 There are some seriously wild rides which will leave you soaked, so why not bring a spare pair of clothes and leave them in a locker for the day? 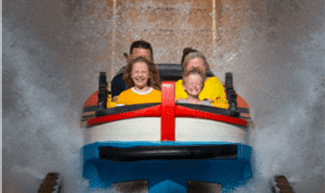 Let the currents of this log flume ride rush you along a winding path and then over a 40 ft drop into a big splash finale. 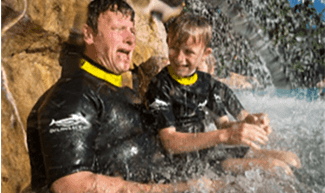 Inspired by the world’s largest waterfalls, it’s a thrilling way for your family to cool off in the Florida sunshine. 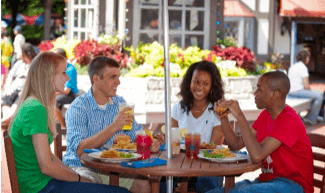 Take a rest during your day of fun and enjoy a delicious meal at one of Busch Gardens many restaurants. Once you’re suitably dry, how about getting wet all over again? 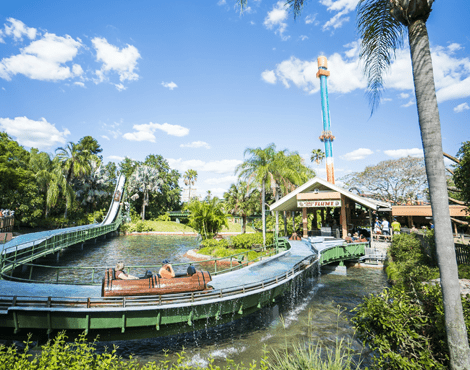 As the Tampa Bay sun shines down, it’s time to cool off on Congo River Rapids. 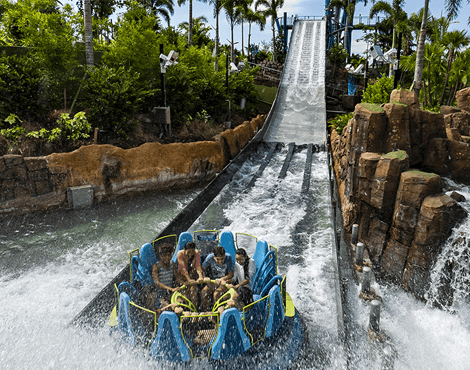 Thrilling plunges, looming waterfalls and a mysterious water cave are just a few of the surprises this river ride holds. 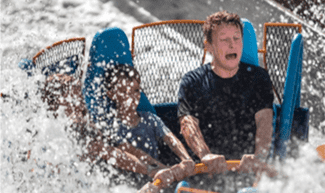 If you don’t want to get wet, it’s best to avoid this ride! 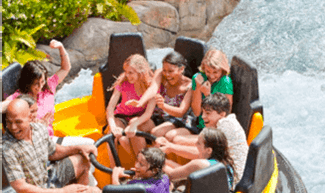 Whilst you won’t get wet riding SheiKra you can help onlookers cool down in the Florida heat as the ride completes with an epic splashdown – soaking anyone close by!